After my delicious sushi dinner tonight, my bff and I decided to burn a few calories by walking around and browsing the outdoor store which was located next to the sushi place. 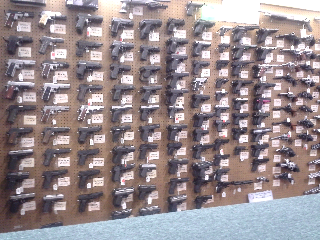 I was more than pleased to find their amazing display of pistols which I have termed the Wall O Guns! I sure hope someone is teaching her about safety! Just a funny photo I found somewhere on the internet, as usual. 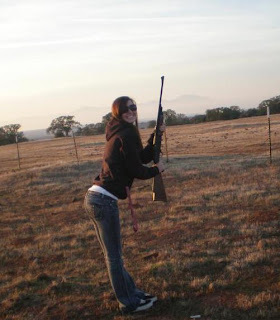 Funny thing, half off all the hits to my blog have been to the Girls with Guns Photo Gallery pages. Who would have ever thought? 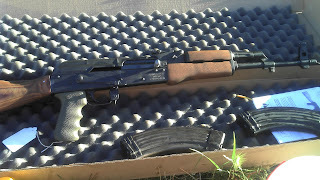 I guess it's picture sharing week here at My Gun Diary. 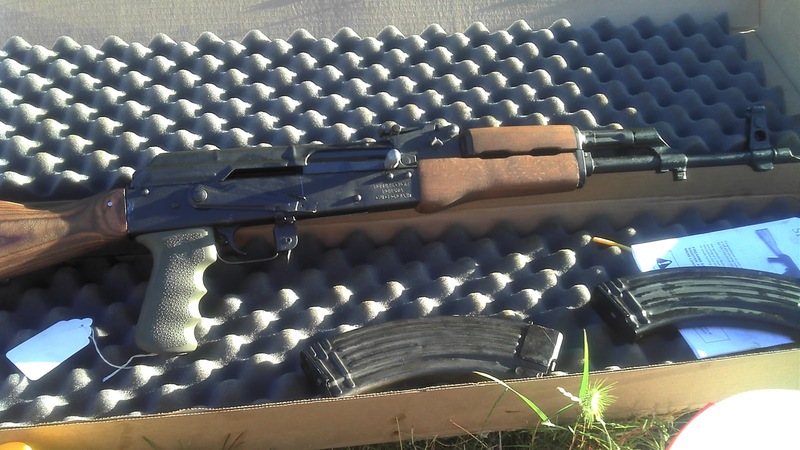 I refinished my WASR-AK47 a while back but neglected to post before and after photos until now, sorry. Better late than never though eh? I was originally going to shoot a video of the refinishing job but there are already so many refinishing videos out there, besides, it's relatively boring to shoot a refinishing video. The pictures tell the story just fine. I went with a MINWAX Red Oak 215 for the stain. Of course, I sanded the stock first, not that there was anything to sand off of the stock to begin with because it pretty much came unfinished, In any event, I wanted to have a nice, clean, smooth surface to apply the finish to, so I sanded it down. After applying two coats of finish, I gave it a nice seal with MINWAX Clear Semi Glass Polyurethane which came in a spray can! It was so easy to use, I had already taped off the metal parts with painters tape, so it was basically just a matter of spraying the Polyurethane on evenly. I let it dry and applied a second coat. The wood needed a couple of days to dry, even in front of a fan, so be patient. I was extremely pleased with the results. Here's just a sample of how I display my guns at my house. They say we surround ourselves with the things we love, well, I guess we know what this guy loves... GUNS! Keep in mind, these photos only represent about half of all the guns I have on display. Just wanted to share a couple of photos of two of my favorite Smith and Wesson's, the 3913 and the 5906. These two pistols really compliment each other well, I see them as sort of a big brother and little brother. If I had the Lady Smith 3913 I could say big broth and little sister, but since my ex didn't want to sell her Lady Smith 3913 back to me, I was stuck picking up the 3913, which is ok because I LOVE my 3913. Both are 9mm, really easy to control and fun to shoot. The 3913 is a great concealed carry piece and the 5906 (15 rounds) is a great pistol to take to the range. It's a little bit too bulky to carry, for my taste. I've blogged about both of these pistols in the past, just wanted to share a couple of photos with y'all! As you can see in the photos, I've added Hogue slip on grips to both of these. There is a constitutional right to keep and bear arms. 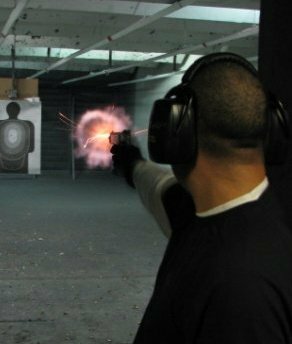 There are very few topics as open-and-shut as the meaning of the Second Amendment. Been wanting to put this together for a while now, all good things take time! Here is a sneak preview for all my blog readers, of the new title introduction for all the videos posted here on MyGunDiary.com! I'll have original T-shirt designs available for sale next month! A new web site design is coming soon! Just wanted you to have a quick look at the new logo! Plans are in the works for custom T-shirts that will be available for purchase right here. Already in production is a new title introduction for all my videos, and best of all, a new, expanded web site which will include a message board so you can share your own gun stories and post photos of your gun collection! All the new additions should take about 8-12 weeks. Maybe longer, you know how web designers work. One of my army buddies recommended this product to me while we were deployed to Kuwait this last year. I was a bit skeptical after all, how well could an oil-free product clean my firearms? As it turns out, remarkably well! 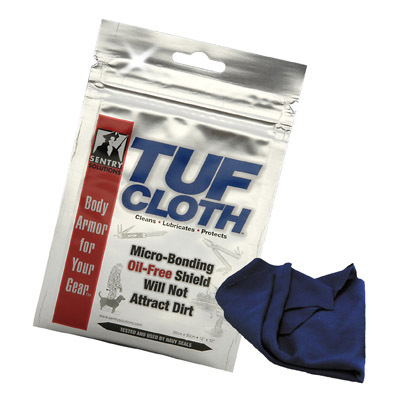 Tuff Cloth (available from Amazon) is an amazing cleaning cloth that far exceeded all of my expectations. Like all gun cleaning products, it's advertised to clean, lubricate and protect, and it does a fantastic job of that. But what I use it for mostly is to polish off my firearms after I've cleaned them and give them an added layer of protection. Not that I don't think this oil-free product doesn't do a good enough job as a primary gun cleaner, it's just that I prefer traditional CLP oils or sprays because they can penetrate all the little nooks and crannies that the Tuff Cloth can't reach. That being said, I have to tell you, I never sit down to clean any of my guns without a Tuff Cloth. Try it once and you'll be hooked too. Here's my suggested use; clean your gun using your normal cleaning products, wipe it down using the Tuff Cloth and just see for yourself what an incredible, oil-free polish and shine it gives to your firearms. Click here to read more or Buy Now from Amazon. Yes readers, I broke my promise of not buying any more guns until after the first of the year. Buds Police Supply had a deal that was way too tempting to pass up. The Smith and Wesson M&P VTAC captured my attention from the first time I saw one. They are extremely eye catching in the flat dark earth color scheme and the VTAC even has the slide in flat dark earth. I've heard a lot of how about the night sights on the VTAC too. The point is, I've wanted one ever since they came out, but I couldn't justify the purchase given the price tag which has been in the low 700s, high 600s. 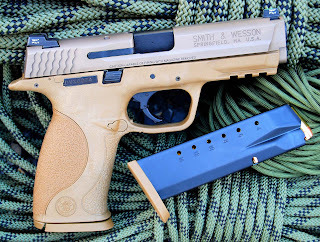 So I'm browsing Buds Police Supply, which is a discount Web site exclusively for military and police, and I come across a .40 Smith and Wesson M&P VTAC for $555, throw in the $50 rebate that Smith and Wesson is currently offering and tar brings the net cost down to only $505! You knew this enthusiast wasn't going to pass on a deal like that. Buds offers a 20% down 90 layaway, so I "pulled the trigger" and put one on layaway for myself. I promise, I won't buy ANYMORE guns until after the first of the year, I swear. Gotta love a 4 day weekend thanks to good ole Christopher Columbus. Thanks Chris! And thank whatever higher power you believe in for Girls with Guns.